A Malaysian prince is promoting a novel weapon against the worsening scourge of dengue fever: a protein “pill” that starves mosquito larvae and could revolutionise the global dengue fight. It is a fight that is intensifying: more than 2.5 billion people — around 40 percent of Earth’s population — live in areas susceptible to the mosquito-borne virus, with up to 100 million infected annually, according to the World Health Organisation. Dengue kills 20,000 people worldwide every year, and its complexity — and what health advocates say is a lack of priority given the race to find cures for higher profile viruses such as AIDS — means a vaccine has proved elusive. It is mainly transmitted to humans by the aedes aegypti mosquito, and causes symptoms including high fever, body aches, rashes and heavy fatigue. In severe cases, white blood cells drop to potentially fatal levels. Enter Prince Naquiyuddin Jaafar, one of the most popular members of Malaysia’s nobility, whose anti-dengue technology targets the offspring of mosquitoes in a bid to win the battle against the virus-spreading pest. A former diplomat and son of Malaysia’s past king, Naquiyuddin, 65, has been involved in a wide range of philanthropic and charitable pursuits, but dengue has been a particular passion. It is a growing problem in Malaysia, where cases surged 22 percent to 6,141 from January to March this year, with 17 deaths. 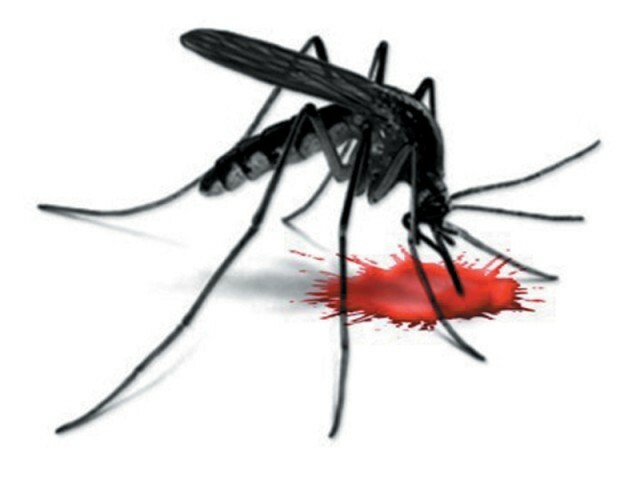 Just eight dengue deaths were reported for all of 2011. Among Naquiyuddin’s diverse business activities is the biotech company he founded in 2007, EntoGenex, which has taken a pre-existing protein called the Trypsin Modulating Oostatic Factor, or TMOF, and developed it into what he calls a fatal “diet pill” for mosquitoes. TMOF is mixed into yeast cells which are then inserted in rice husks, allowing them to float on water where they will be eaten by mosquito larvae, said Alan Brandt, EntoGenex’s research head. “Larvae love yeast,” he added. Once consumed, it shuts down mosquito larvae digestive systems, starving them to death before they can grow and spread dengue, Naquiyuddin said as he showed slides and photographs of dead mosquitos at the firm’s high-tech research facility in downtown Kuala Lumpur. “The ‘pill’ has a 100 percent success rate against all larvae species within 24 hours, and there is no way for resistance to build as it is not a toxic chemical but a protein which only affects mosquitos,” Naquiyuddin said. The protein stops production of trypsin, a critical enzyme without which digestion cannot occur. TMOF is harmless to animals and humans, Brandt said, washing a handful of the rice husks down with a glass of water in his laboratory as proof. The firm has combined the TMOF with the equally tongue-twisting bacillus thuringiensis israelensis (Bti) bacteria, which eats holes in the guts of larvae but is non-toxic to people. Most larvae die within an hour, and nearly all within 24 hours, according to EntoGenex, which has held several successful Malaysian field trials with universities and health authorities. “What they have come up with is quite remarkable in combining Bti and TMOF, and the field trials have shown that there is success in using it,” said the Malaysian Health Ministry’s Disease Control Division director Chong Chee Kheong. Although known for hundreds of years, dengue has emerged as a global health problem in recent decades as cases have rapidly mounted. This spread has been blamed on factors including population growth, urbanisation, and increased human mobility taking the disease to new areas. Authorities in Malaysia are unsure of the reasons driving the recent spike in cases there, but have speculated that wetter weather as a result of changing climate patterns could be a factor. Current methods of mosquito control include fogging with chemicals such as the insecticide DDT which can be harmful to both humans and animals, and to which insects can develop a resistance. Malaysia in 2010 released 6,000 genetically modified mosquitoes designed to have offspring with shorter lifespans but no more releases were made amid concerns as to how the insects would interact with their cousins in the wild. Naquiyuddin’s “pill” is now registered for use in Malaysia, Pakistan and the Philippines, while Ghana, South Africa, Cameroon and Sri Lanka are either conducting field trials or seeking approvals to use it. He hopes it could potentially become a weapon in the even larger fight against malaria, which kills an estimated 650,000 people per year. More than $5 billion is needed annually to control malaria but only $1.8 billion is being put into the fight, according to Roll Back Malaria, a group that carries out global anti-malaria campaigns. The “pill”, which costs about one-eighth the price of manufacturing conventional neurotoxins like DDT, will lower costs dramatically, said Naquiyuddin. “We are offering a cheaper and much healthier alternative to fighting dengue and malaria, and this is why we are in the business: to improve the quality of life of people, while helping to solve a major health threat,” he said. “If it means my wife and family will never again have to worry about dengue, then I urge the government and businesses to help make it available to everyone,” said Ahmad Ismail, 47. A recent field trial in the suburb where he lives north of the capital Kuala Lumpur caused dengue cases to disappear, said Ahmad, an engineer whose wife was struck down with the virus just months before the trial. She later recovered.